The mascot for the University of Cincinnati football team was arrested on disorderly conduct charges Saturday. The Bearcat mascot was busted after a snowball fight with fans during which a security guard was injured. The student who dressed as the Ohio University mascot “Rufus the Bobcat” has been banned by the school after he attacked the Ohio State University mascot Saturday. 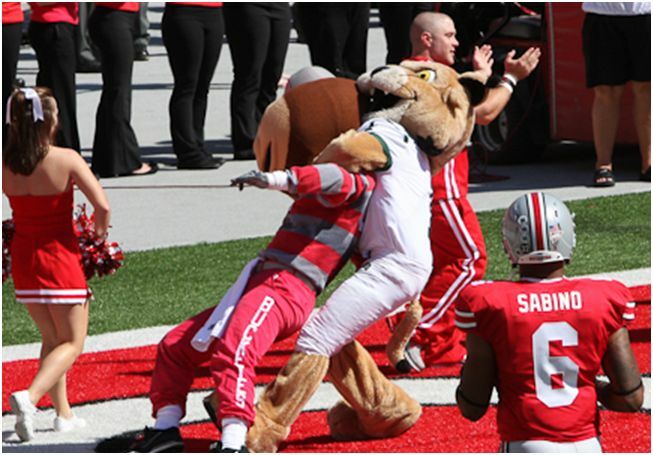 The mascot-on-mascot violence occurred twice during the Ohio U./Ohio State game. 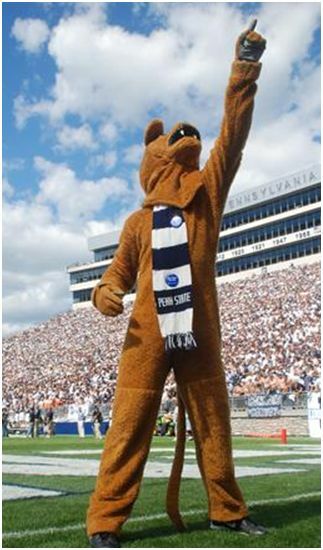 The mascot for the Penn State football team has been arrested for underage drinking. The mascot for the New England Patriots has been arrested on prostitution charges in Rhode Island. Robert Sormanti who dresses up as “Pat Patriot” was among 14 people arrested in a hotel prostitution sting operation. The longest losing streak in sports currently stands at 280. 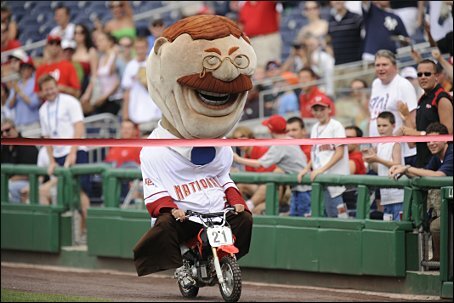 That’s how many “president races” the Washington Nationals’ Teddy Roosevelt mascot has lost in a row. In fact, Teddy has never won a race. Not in the entire history of the Nationals franchise. The Nationals hold the Presidents Race in the fourth inning of every home game. The running gag is how Teddy Roosevelt finds a way to lose every race. The Teddy Roosevelt mascot is so popular that there has actually been a website set up called Letteddywin.com. IS THE SAN DIEGO CHICKEN RETIRING? The San Diego Chicken is thinking of hanging up his beak. In an interview with the San Diego Union Tribune, Giannoulas says he’s thinking about retiring. Giannoulas is now 55. He has been performing as The San Diego Chicken for 35 years. Giannoulas is one of the top mascots in sports history. Maybe THE top.